Calgary, AB – The 2010 Western Hockey League Bantam Draft was held Thursday, April 29th in Edmonton at the Fantasyland Hotel. The annual WHL Bantam Draft is the first step in the identification of the top rated 1995-born prospects as WHL Clubs select players from this age group to add to their WHL Player Protected List. 1. Prince George, Alex Forsberg, C, Waldheim, SK; 2. Edmonton, Curtis Lazar, C, Vernon, B.C. ; 3. Lethbridge, Johnathon Merkley, C, Calgary, AB; 4. Seattle, Jared Hauf, D, Calgary, AB; 5. Regina, Morgan Kilmchuk, LW, Calgary, AB; 6. Prince Albert, Joshua Morrissey, D, Calgary, AB; 7. Keegan Kanzig, D, Athabasca, AB; 8. Kamloops, Matthew Needham, C, Penticton, B.C. 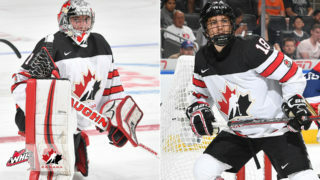 ; 9.Kelowna, Jesse Lees, D, Calgary, AB; 10. Moose Jaw, Carter Hansen, RW, Craven, SK; 11. Swift Current, Dillon Heatherington, D, Calgary, AB; 12. Red Deer, Kayle Doetzel, D, Rosetown, SK; 13. Tri-City (from Vancouver), Eric Comrie, G, Newport Beach, CA; 14. Medicine Hat, Spencer Jensen, D, Airdrie, AB. 15. Kootenay, Sam Reinhart, C, Hollyburn, B.C. ; 16. 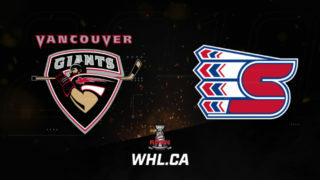 Portland, Nicolas Petan, C, Delta, B.C. ; 17. Spokane, Tyler King-Cunningham, D, Pilot Butte, SK; 18. Edmonton (from Everett), Mason Geertson, D, Drayton Valley, AB; 19. Vancouver (from Tri-City), Anthony Ast, C, Burnaby, B.C. ; 20. Saskatoon, Tim McGauley, C, Wilcox, SK; 21. Moose Jaw (from Brandon), Torrin White, RW, Medicine Hat, AB; 22. Calgary, Gregory Chase, C, Sherwood Park, AB. 23. Kelowna (from Prince George), Madison Bowey, D, Winnipeg, MB; 24. Everett (from Edmonton), Ryan Chynoweth, C, Lethbridge, AB; 25. Lethbridge, Craig Leverton, C, Warman, SK; 26. Seattle, Taylor Green, D, Port Coquitlam, B.C. ; 27. Lethbridge (from Regina), Macoy Erkamps, D, Richmond, B.C. ; 28. Prince Albert, Luke Mahura, C, St. Albert, AB; 29. Chilliwack, Clay Spencer, C, Lethbridge, AB; 30. Kamloops, Cole Ully, LW, Calgary, AB; 31. Prince George (from Kelowna), Jordan Tkatch, C, Prudhomme, SK; 32. Moose Jaw, Brandon Potomak, LW, Aldergrove, B.C. ; 33. Kootenay (from Swift Current), Tanner Faith, D, Wilcox, SK; 34. Red Deer, Cory Millette, C, Storthoaks, SK; 35. Kamloops (from Vancouver), Tyson Harvey, D, Nanaimo, B.C. ; 36. Medicine Hat, Ty Stanton, D, St. Albert, AB; 37. Kootenay, Wyatt Hoflin, G, Stony Plain, AB; 38. Portland, Paul Stoykewych, D, Winnipeg, MB; 39. Medicine Hat (from Spokane), Brennan Hunker, D, Millet, AB; 40. Everett, Tye Hand, D, Yellowknife, NWT; 41. Lethbridge (from Tri-City), Joel Topping, D, Red Deer, AB; 42. 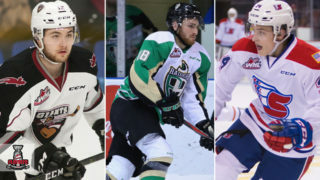 Saskatoon, Ayrton Nikkel, D, Kelowna, B.C. ; 43. Moose Jaw (from Brandon), Spencer Morse, D, Calgary, AB; 44. Calgary, Austin Calladine, C, Saskatoon, SK. 45. Prince George, Brett Zarowny, G, Edmonton, AB; 46. 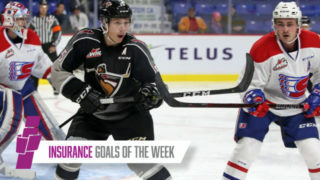 Edmonton, Tristan Jarry, G, Delta, B.C. ; 47. Regina (from Lethbridge), Kyle Burroughs, D, Langley, B.C. ; 48. Seattle, James Neil, RW, White Rock, B.C. ; 49. Portland (from Regina), Brendan Burke, G, Scottsdale, AZ; 50. Prince Albert, Michael Lorange, LW, Winnipeg, MB; 51. Chilliwack, Luke Harrison, C, Westbank, B.C. ; 52. Prince George (from Kamloops), Jarrett Fontaine, C, Bruno, SK; 53. Kelowna, Tyson Baillie, C, Ft. Saskatchewan, AB; 54. Calgary (from Moose Jaw), Colby Harmsworth, D, Saskatoon, SK; 55. Chilliwack (from Swift Current), Coleman Vollrath, G, Calgary, AB; 56. Red Deer, Spencer Kryczka, C, Calgary, AB; 57. Vancouver, Jackson Houck, RW, North Vancouver, B.C. ; 58. Spokane (from Medicine Hat), Ricky Wittingham, RW, Calgary, AB; 59. Kootenay, Luke Philip, C, Canmore, AB; 60. Portland, Presten Kopeck, C, Medicine Hat, AB; 61. Kamloops (from Spokane), Joshua Connolly, D, Prince George, B.C. ; 62. Kootenay (from Everett), Jaedon Descheneau, RW, Edmonton, AB; 63. Tri-City, Justin Spagrud, LW, Gull Lake, SK; 64. Seattle (from Saskatoon), Shea Theodore, D, Aldergrove, B.C. ; 65. Brandon, Colton Waltz, D, Vermillion, AB; 66. Calgary, Marshall Donald, D, Edmonton, AB. 67. Regina (from Prince George via Portland), Colby Williams, D, Regina, SK; 68. Everett (from Edmonton), Austin Adam, D, Surrey, B.C. ; 69. Lethbridge, Ryan Ferguson, G, Calgary, AB; 70. Swift Current (from Seattle), Josh Sinatynski, C, Ft. Saskatchewan, AB; 71. Swift Current (from Regina), Zac MacKay, C, Swift Current, SK; 72. Portland (from Prince Albert), Branden Scheidl, D, Saskatoon, SK; 73. Prince George (from Chilliwack), Joseph Carvalho, D, Burnaby, B.C. ; 74. Portland (from Kamloops), Steen Cooper, C, Duncan, B.C. ; 75. Kootenay (from Kelowna), Spencer Wand, D, Shaunavon, SK; 76. Moose Jaw, Braiden Doucette, D, Edmonton, AB; 77. Kootenay (from Swift Current), Cole DePape, D, Winnipeg, MB; 78. Swift Current (from Red Deer), Landon Bow, G, St. Albert, AB; 79. Vancouver, Jackson Whistle, G, Kelowna, B.C. ; 80. Medicine Hat, Gavin Broadhead, LW, Hay River, NWT; 81. 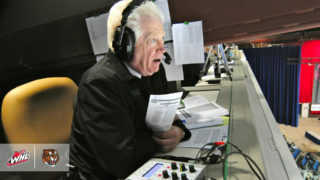 Swift Current (from Kootenay), Bobby Zinken, D, Calgary, AB; 82. Moose Jaw (from Portland), Daniel Wapple, G, Saskatoon, SK; 83. Spokane, Nakeh Lamothe, LW, Edmonton, AB; 84. Medicine Hat (from Everett), Anthony Hamill, G, Red Deer, AB; 85. Tri-City, Josh Wik, D, Swift Current, SK; 86. Saskatoon, Christian Stockl, RW, Winnipeg, MB; 87. Brandon, Tyler Fuhr, G, Sherwood Park, AB; 88. Calgary, Mack Shields, G, Saskatoon, SK. 89. Prince George, Chase Witala, C, Prince George, B.C. ; 90. Chilliwack (from Edmonton), Brodie Clowes, D, Calgary, AB; 91. Regina (from Lethbridge), Ty McLean, C, Redvers, SK; 92. Seattle, Justin Myles, G, Calgary, AB; 93; Red Deer (from Regina), Alex Orth, G, Abbotsford, B.C. ; 94. Prince Albert, Tarayn Phaneuf, G, Prince Albert, SK; 95. Moose Jaw (from Chilliwack), Kurt Keats, C, Winnipeg, MB; 96. Kootenay (from Kamloops), Jesse Wood-Schatz, LW, Sherwood Park, AB; 97. Prince George (from Kelowna), Shane Kumar, D, Delta, B.C. ; 98. Kamloops (from Moose Jaw), Matt McLeod, LW, Saskatoon, SK; 99. Red Deer (from Swift Current), Kevin Pochuk, D, Winnipeg, MB; 100. Seattle (from Red Deer), Zach Douglas, D, McTaggert, SK; 101. Edmonton (from Vancouver), Nelson Gadoury, C, Calahoo, AB; 102. Regina (from Medicine Hat via Portland), Brett Harris, LW, 108 Mile Ranch, B.C. ; 103. Lethbridge (from Kootenay), Jamal Watson, RW, Calgary, AB; 104. Portland, Wyatt Noskey, C, Edmonton, AB; 105. Spokane, Brett Lewchuck, G, Saskatoon, SK; 106. Everett, Geordie Maguire, LW, Winnipeg, MB; 107. Prince George (from Tri-City via Kelowna), Raymond Grewal, D, Prince George, B.C. ; 108. Saskatoon, Alex Moodie, G, Winnipeg, MB; 109. Brandon, Nolan Speiss, D, Neepawa, MB; 110. Calgary, Daylon Creasy, RW, Carberry, MB. 111. Edmonton (from Prince George), Robbie Cameron, D, Saskatoon, SK; 112. Portland (from Edmonton), Connor Hutchins, C, North Richland Hills, TX; 113. Kelowna (from Lethbridge), Cole Linaker, RW, Edmonton, AB; 114. Seattle, Daniel Wray, RW, Edmonton, AB; 115. Regina, Tanner Burgardt, G, Kerobert, SK; 116. Medicine Hat (from Prince Albert), Chad Labelle, C, Calgary, AB; 117. Medicine Hat (from Chilliwack), Cole Sanford, C, Vernon, B.C. ; 118. Kamloops, Dylan Frey, RW, Weyburn, SK; 119. Prince Albert (from Kelowna), Tyler Dea, D, St. Albert, AB; 120. Moose Jaw, Jordan Wiest, D, Lethbridge, AB; 121. Swift Current, Denis Bosc, LW, Dufresne, MB; 122. Red Deer, Scott Ferguson, RW, Sylvan Lake, AB; 123. Vancouver, Trevor Lima, D, Vancouver, B.C. ; 124. Moose Jaw (from Medicine Hat), Braydon MacDonald, RW, Stone Wall, MB; 125. Kootenay, Kyle Krabben, D, Calgary, AB; 126. Spokane (from Portland), Bo Pellah, D, Burnaby, B.C. ; 127. Spokane, Tyson Predinchuk, C, Regina, SK; 128. Saskatoon (from Everett), Brett Magee, D, Edmonton, AB; 129. Spokane (from Tri-City), Jeremy McIntosh, D, Calgary, AB; 130. Saskatoon, Conner Kortko, C, Saskatoon, SK; 131. Brandon, Taylor Cooper, LW, Sherwood Park, AB; 132. Kamloops (from Calgary), Ryan Rehill, D, Edmonton, AB. 133. Everett (from Prince George), Micheal Bell, C, Maple Ridge, B.C. ; 134. Edmonton, Brandon Baddock, LW, Wainwright, AB; 135. Kootenay (from Lethbridge), Jonathan Martin, C, Winnipeg, MB; 136. Seattle, John Edwardh, C, Calgary, AB; 137. Regina, Nolan De Jong, D, Victoria, B.C. ; 138. Prince Albert, Kaiden Tobin, D, Stony Plain, AB; 139. Chilliwack, Brennan Clark, RW, Kelowna, B.C. ; 140. Kamloops, Braden Krogfoss, G, Cloverdale, B.C. ; 141. Portland (from Kelowna via Chilliwack), Dylan Bowen, D, Lumby, B.C. ; 142. 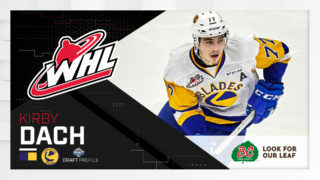 Moose Jaw, Conner Baugh, RW, North Vancouver, B.C. ; 143. Chilliwack (from Swift Current), Sean Davies, D, Drumheller, AB; 144. Seattle (from Red Deer), Brad Lelievre, LW, Mill Creek, WA; 145. Vancouver, Justin Toomey, D, Leduc, AB; 146. Medicine Hat, Damon Hanson, RW, Renton, WA; 147. Kootenay, Jackson Elynuik, RW, Calgary, AB; 148. Tri-City (from Portland), Austin Seaman, D, Calgary, AB; 149. Spokane, Cade Owad, C, Calgary, AB; 150. Everett, Austin Lotz, G, St. Adolphe, MB; 151. Tri-City, Taeron Lewis, RW, Winnipeg, MB; 152. Saskatoon, Drake Bodie, C, Thompson, MB; 153. Brandon, Kyler Kehn, LW, Stony Plain, AB; 154. Moose Jaw (from Calgary), Latrell Charleson, D, Surrey, B.C. 155. Swift Current (from Prince George), Nathan Bandet, C, Regina, SK; 156. Edmonton, Griffin Foulk, D, Broomfield, CO; 157. Lethbridge, Remy Laurencelle, C, Winnipeg, MB; 158. Brandon (from Seattle), Daniel Taillefer, RW, La Broquerie, MB; 159. Regina, Nolan Parrington, D, Winnipeg, MB; 160. Prince Albert, Regan Yew, LW, Meadow Lake, SK; 161. Edmonton (from Chilliwack), Carter Zalluski, C, McCreary, MB; 162. Kamloops, MacKenzie Ferner, C, Vernon, B.C. ; 163. Kelowna, Hudsen Fasching, C, Burnsville, MN; 164. Moose Jaw, Justin Paulic, G, Thompson, MB; 165. Swift Current, Matthew Gelinas, LW, Calgary, AB; 166. Red Deer, Scott Feser, RW, Red Deer, AB; 167. Chilliwack (from Vancouver), Linden Bourne, C, Sherwood Park, AB; 168. Medicine Hat, Cameron Gotaas, C, Sherwood Park, AB; 169. Everett (from Kootenay), Carson Stadnyk, C, Saskatoon, SK; 170. Prince Albert (from Portland), Arwin Atwal, D, Delta, B.C. ; 171. Spokane, Jason Fram, D, Delta, B.C. ; 172. Chilliwack (from Everett), Reid Halabi, RW, Edmonton, AB; 173. Tri-City, Brian Williams, C, Claremont, CA; 174. Saskatoon, Nicholas Zajac, LW, Winnipeg, MB; 175. Brandon, Jack Palmer, C, Victoria, B.C. ; 176. Calgary, Keaton Thompson, D, Devil’s Lake, ND. 177. Prince George, Jade McMullen, C, Edmonton, AB; 178. Edmonton, Cole Benson, C, Edmonton, AB; 179. Lethbridge, Lenny Hackman, D, Airdrie, AB; 180. Brandon (from Seattle), Quinton Lisoway, C, Neepawa, MB; 181. Regina, Demico Hannoun, C, Delta, B.C. ; 182. Prince Albert, Sebastien Auray, C, St. Ablert, AB; 183. Chilliwack, Taylor Crunk, San Jacinto, CA; 184. Vancouver (from Kamloops), Scott Savage, D, San Clemente, CA; 185. Kelowna, James Fisk, G, Airdrie, AB; 186. Kelowna (from Moose Jaw), Jaryd Watson, LW, Leask, SK; 187. Swift Current, PASS; 188. Red Deer, Dawnen Berggren, D, Saskatoon, SK; 189. Vancouver, Kevan Kilistoff, LW, Langley, B.C. ; 190. Medicine Hat, Paige Maul, C, Missoula, MT; 191. Everett (from Kootenay), Kyle Messervey, C, Sundre, AB; 192. Portland, Chase Deleo, C, La Mirada, CA; 193. Spokane (reacquired from Kamloops), Jakob Romo, C, Fullerton, CA; 194. Everett, Chandler Bruyckere, D, Parksville, B.C. ; 195. Tri-City, Ryer Sawchuk, D, Lethbridge, AB; 196. Saskatoon, Joshua Smith, C, Delta, B.C. ; 197. Brandon, Hunter Smith, RW, Carlyle, SK; 198. Calgary, Gerrett Forster, RW, Delta, B.C. 199. Kelowna (from Prince George via Swift Current), Austin Ferguson, RW, Abbotsford, B.C. ; 200. Edmonton, Luke Bertolucci, LW, Montcore, B.C. ; 201. Lethbridge, Chris Thorimbert, LW, Saskatoon, SK; 202. Brandon (from Seattle), Mitch, Collett, LW, Calgary, AB; 203. Regina (reacquired from Kamloops), Alec McCrea, D, El Cajon, CA; 204. Prince Albert, Matt Zentner, G, Red Deer, AB; 205. Chilliwack, Irving Chandler, D, Cochrane, AB; 206. Kamloops, PASS; 207. Kelowna, Mitch Wheaton, D, Sherwood Park, AB; 208. Saskatoon (from Moose Jaw), McKenzie Busenius, D, Sherwood Park, AB; 209. Regina (from Swift Current), PASS; 210. Red Deer, Tyson Maton, D, Winfield, AB; 211. Vancouver, Tanner Lishchynsky, D, Saskatoon, SK; 212. Medicine Hat, PASS; 213. Everett (from Kootenay), Cody Depourg, C, Penticton, B.C. ; 214. Portland, Bryson Gore, F, Lethbridge, AB; 215. Prince George (from Spokane), Mark McNulty, D, Medicine Hat, AB; 216. Everett, Casey Parker, G, Regina, SK; 217. Tri-City, Clint Filbrandt, D, Calgary, AB; 218. Saskatoon, Linden Penner, RW, Sherwood Park, AB; 219. Brandon, Mathew Hadley, C, Ste. Agathe, MB; 220. Calgary, Braeden Salverda, C, Calgary, AB. 221. Prince George, Shane Teed, C, Regina, SK; 223. Lethbridge, Daniel Sosa, D, Puyallup, WA; 2226. Prince Albert, Braeden Farge, LW, St. Albert, AB; 229. Kelowna, Ryan Forbes, RW, Kitimat, B.C. ; 233. Vancouver, Daniel Urbani, G, Coquitlam, B.C. ; 2235. Everett (from Kootenay), Andrew Weich, D, Calgary, AB; 237. Brandon (from Spokane), Gavin Froese, D, Grunthal, MB; 239. Tri-City, Andrew Ogelvie, C, Fullerton, CA; 240. Saskatoon, Macklin Pichonsky, D, Leduc, AB; 241. Brandon, Maxim Powiada, D, Saskatoon, SK; 242. Calgary, Elliott Peterson, LW, Saskatoon, SK. 243. Prince George, Eli Jarvis, C, Quesnel, B.C. ; 248. Prince Albert, Evan Elaschuk, D, Calgary, AB; 249. Prince Albert (from Chilliwack), E.J. Pfeifer, D, North Battleford, SK; 254. Red Deer, Kirby Halcrow, G, Grand Prairie, AB; 255. Vancouver, Dexter Dancs, C, Vancouver, B.C. ; 261. Tri-City, Taylor Marr, C, Lethbridge, AB; 264. Calgary, Jameson Stoski, D, Sicamous, B.C. 277. Vancouver, Tanner Posch, RW, Leduc, AB.